THE national netball team will be named the Samsung Diamonds as part of a naming rights deal announced by the electronics giant. 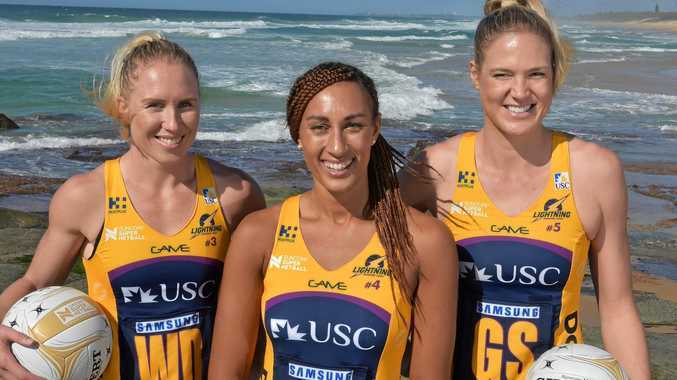 The announcement follows Samsung's support of the Sunshine Coast Lightning team which took out the Suncorp Super Netball competition. Samsung will be the official naming rights partner of the Diamonds and Innovation Partner of Netball Australia, Suncorp Super Netball, Fast5 Netball World Series, as well as a supporter of grassroots netball through to elite teams across Netball Queensland, Victoria and New South Wales. The announcement follows Samsung's 2016 partnership with Netball Australia and Rethink Role Models campaign, which brought player stories to life through an emotive mini-series. Holly Adams, Head of Brand Partnerships, Samsung Australia, said: "Netball is one of the most engaged, passionate community-driven activities that brings together millions of Australians each week. Samsung is committed to supporting the sport at its highest level, as well as through grassroots activity through teams and communities around Australia. "Breakthrough experiences, partnerships, and collaboration are at the heart of how Samsung applies our innovation to support our customers and partners alike. We look forward to undertaking this journey with the Samsung Diamonds, Netball Australia, and the sport's incredibly passionate audiences. "Samsung is thrilled to partner with Netball Australia to support their vision for the future development and we are excited to soon announce in the near future how this will come to life through our products and innovation in 2017 and beyond." Adams said. "We are delighted that Samsung Australia has extended their commitment to netball in Australia, from grassroots right through to the Diamonds" said Netball Australia CEO Marne Fechner. "Samsung's enthusiasm for growing the game and drive to continue to push the boundaries of innovation is an excellent fit with netball's objectives of increasing our footprint at all levels of the sport. In order to continue our growth, we must continue to innovate, and this partnership will assist us in doing so across the sport. "Our Samsung Diamonds are world-class athletes, current Commonwealth Games and Netball World Cup gold medallists, and it brings us great joy to see their consistent performances be rewarded with this support," said Fechner. The announcement coincides with the Diamonds annual squad camp in Canberra this week, where Samsung will provide the entire Diamonds squad with a training kit. Experts will work with Netball Australia and the Diamonds High Performance team on developing tools that allow the Diamonds to train better and review their performances using new technology such as Samsung Gear 360.